QLLauncher is a Quake Live launcher for Linux which comes with various tweaks that should improve the game's performance. 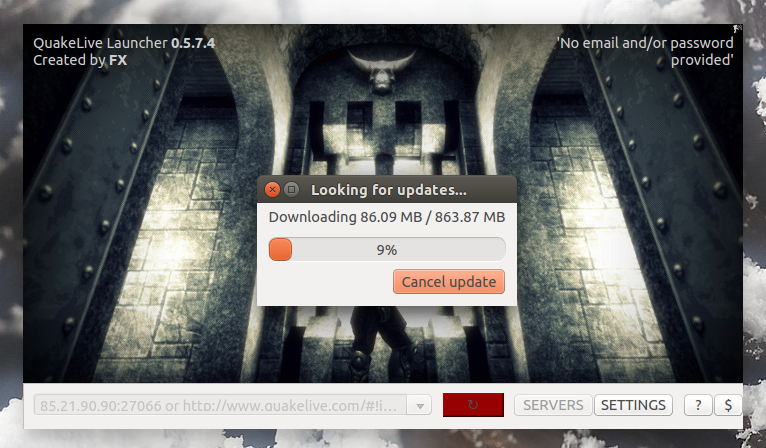 Furthermore, the tool supports downloading and updating Quake Live along with other useful features. For those not familiar with Quake Live, this is a free to play (with optional subscription options that include more arenas, game types and game server options) first-person shooter video game developed by id Software that was originally downloaded and launched via a web browser plugin. About a year ago, Quake Live became a standalone game and with this, Linux and Mac were no longer supported, though the game can still be played via Wine. 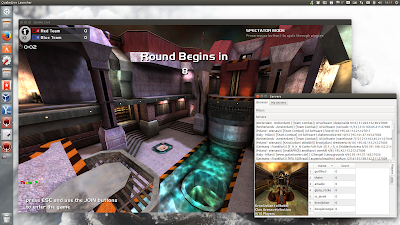 More information on Quake Live: Wikipedia | Quake Live homepage. 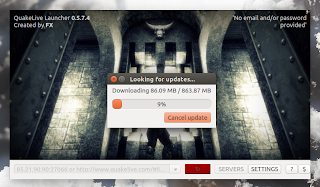 Now back to Quake Live launcher for Linux (QLLauncher). It's important to note that to be able to play Quake Live under Linux, you'll need Wine - installing QLLauncher from the PPA will install Wine if it's not already installed on your system. 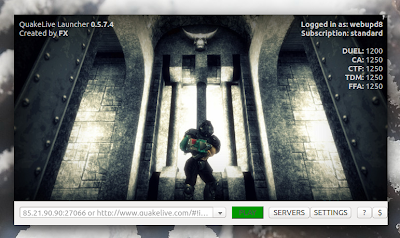 Also, QLLauncher only works with Quake Live accounts which aren't connected with Steam. If you have an account connected with Steam, you'll have to create a new Quake Live account to be able to use QLLauncher. While the app is great and I didn't encounter any functionality issues with QLLauncher or Quake Live in my test under Ubuntu 14.10, the QLLauncher main UI could use some improvements. That's because there are no window decorations so to move the window you must hold the ALT key and drag the window with your mouse. Also, to close it, you must press the ESC key. If you don't want to add the PPA, you can download the latest QQLauncher deb from HERE. Update: Arch Linux users can now install QLLauncher (git) via AUR. To grab the QLLauncher source code, report bugs and so on, see its Bitbucket page.